Is Holle Organic Baby Formula Better? 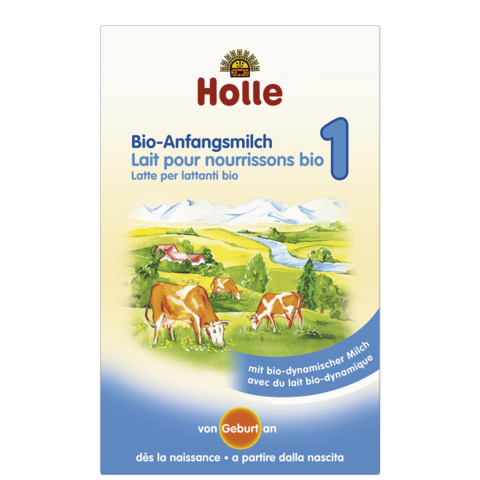 Many American mothers and caregivers have chosen Holle, a Swiss organic infant formula brand because the US organic market falls short, pointing fingers at the FDA and weak organic certification standards. 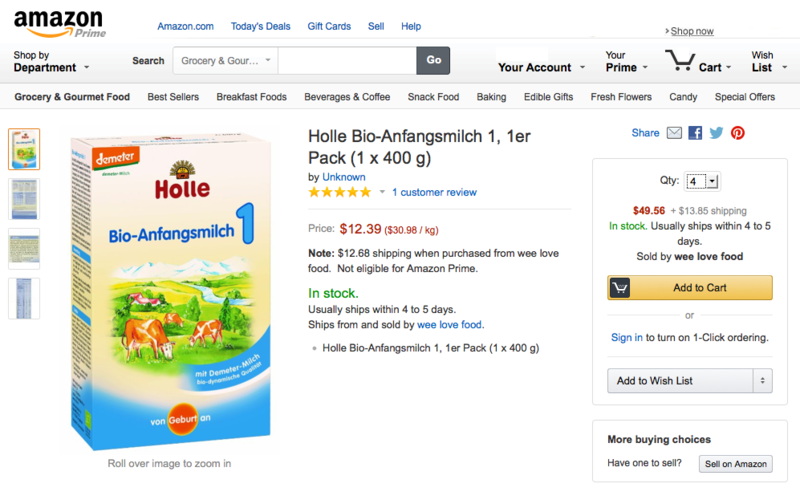 But who is Holle and why do Americans buy their infant formula from overseas instead US organic brands? How do Holle Ingredients Stack Up? First, let's start with what natural ingredients their formula *does* contain. Their first ingredient listed is "skimmed milk", in which many other brands list oils, sugars and wheys. They list the milk as "from biodynamic farming (Demeter quality)". What is Demeter quality? What is biodynamic farming? Demeter is a certified international farming standard with about 40 participating countries, like USDA organic standards but seemingly more strict, starting from processing all the way to packaging. Biodynamic farming is an organic practice that is the root of Demeter certification that approaches organic farming in a holistic, sustainable way. I could find only one other baby formula brand that has the Demeter quality milk which is BiobimLac 2 from http://www.joannusmolen.com so it doesn't look common that brands utilize this quality milk in their ingredients. The second ingredient is organic whey which is typical in most formulas. These are both good signs of quality baby formula. But does Holle pass the test of no-no ingredients? While Holle does claim that it does not have an added sweetener (there's a logo stating it on their site), maltodextrin is in fact a plant based sweetener. Their commercial actually states "no refined sugars". Palm oil is also controversial as it has been said to create "soaps" in the baby's gut and have an adverse reaction regarding bone mass **. That said, the ingredients list has palm oil listed alongside rapeseed and sunflower oil so it does not look like the exclusive oil used. Overall, the US baby formulas all have some sort of controversial ingredient so it seems the standout positive is the type of milk used. If you are convinced it's worth it, at present there are only a few online places to buy this for US delivery which can be found here. 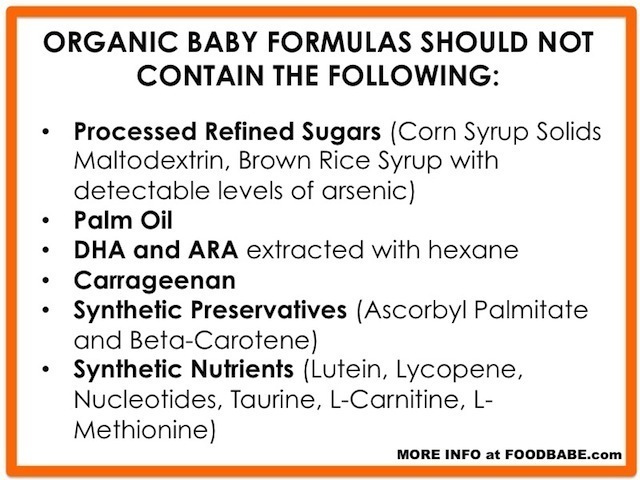 If you cannot afford the price, some parents recommend Babys Only Organic Formula made in the US that is non-GMO. The label says it's a toddler formula but it meets all standards on infant formula (they promote breastfeeding up to one year). As much as some mothers would like to breast feed their babies, in many cases it is not possible or the need for supplemental milk is required. 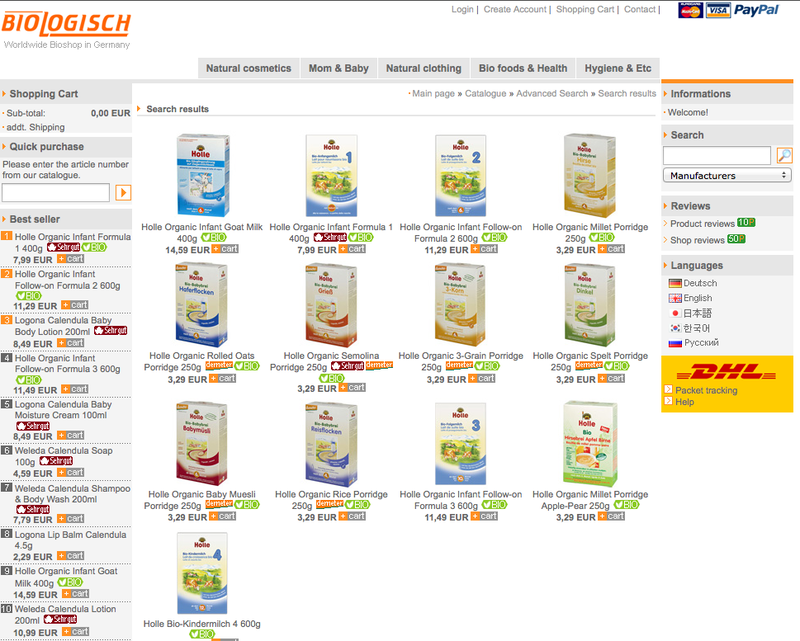 Below is a summary of where to buy (at present) the most natural and highly rated infant formula Holle, a Swiss brand, and have it shipped to the US. If you have information on where to buy this from other countries, please comment and I will update the post with your links and information. You can also visit the Holle website that lists current retailers by country. 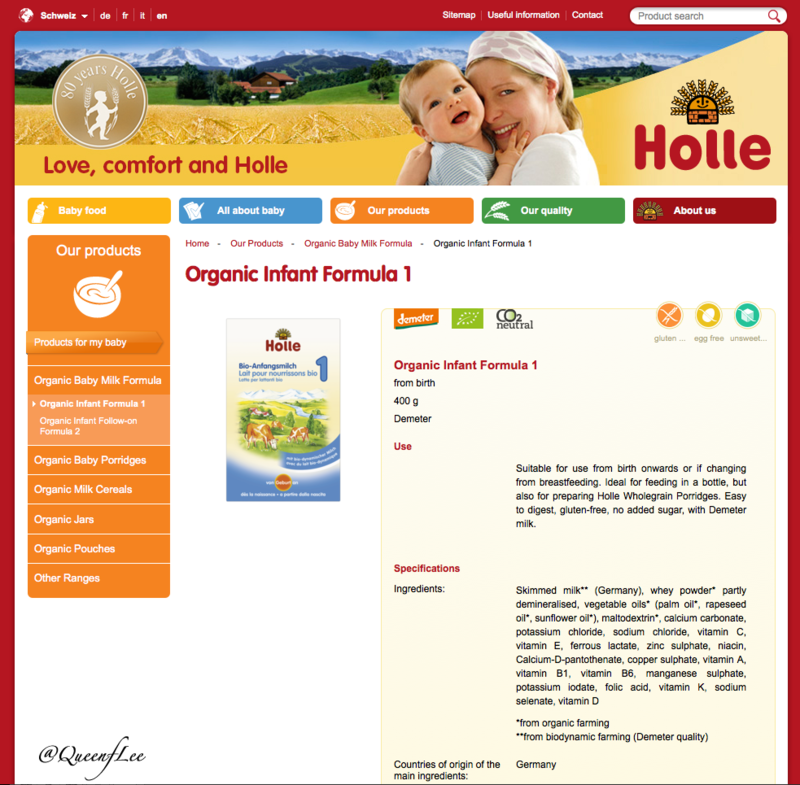 >> For details and ingredients about Holle formula, see my other post here. I will start out that these recommendations are researched, and not for the readily available organic, off-the-shelf brands like Earths Best, Walmart's Parent's Choice or Similac Organic. There are reference articles and testimonials at the bottom of this post, so please educate yourselves as to what you are feeding your babies, if not to tell other mothers and caregivers what should *not* be in our infant formulas available in the US.